Finally, a tequila has been produced that is purposely diluted to capture the true essence and grandiose taste of pure Mexican tequila. Para Mi Tequila is authentic tequila, produced only from 100% natural blue agave plants of Jalisco. Refusing to add artificial additives, Para Mi Tequila is 38 percent alcohol by content and 76% proof, representing the purest and truest Tequila, just like those that the citizens of Mexico have been enjoying for years. 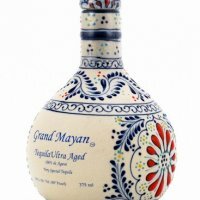 Para Mi Tequila is deliberately producing and importing the world's first authentically diluted tequila and is intent on capturing the unique flavor of traditional homegrown brands. 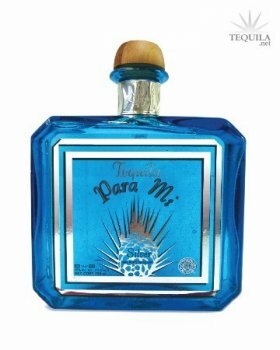 Destined to become the flagship of all tequilas, Para Mi Tequila invites you to experience the newest and finest Tequila ever introduced to this region of the world. Tasted out of a double ball glass. This distillery IMHO produces some of the finest expressions of the Blue Agave. Para Mi is no exception. The first word that came to mind was 'clean'. A very simple, yet pleasant experience. Aroma: Light grass, light pine. Initial Taste: A thin mouth feel. No bitterness upon entry. With a first taste of agave. Body: No, a weak body. More like a pure body of agave, with a touch of smoke. Finish: A light finish with an agave lingering.